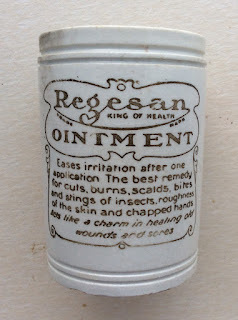 Not strictly a Victorian ointment. 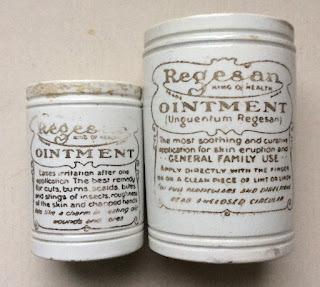 The trade directories of 1915 show that Regesan was a brand owned by Boots, the nationwide chemist. 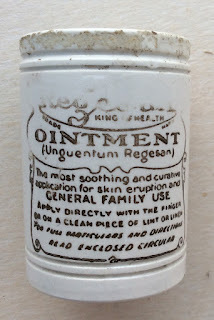 The 'King of Health' Ointment claimed to have eased cuts, burns, scalds and bites. 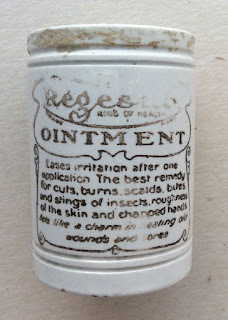 Details on how to use the product are listed on the pot. 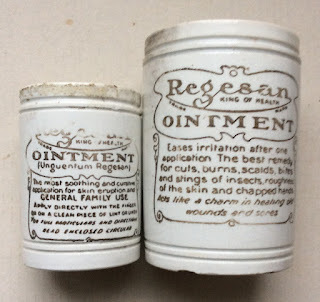 Both sizes are quite rare and often carry some damage and the transfers are often weak. 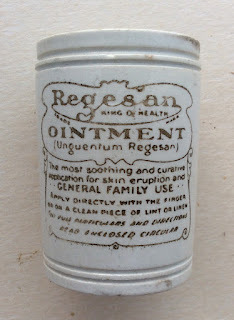 Further detailed information regarding the Regesan Ointment can be obtained from the Historical Guide to Delftware and Victorian Ointment Pots book produced by Messrs. Houghton & Priestley, page 118.